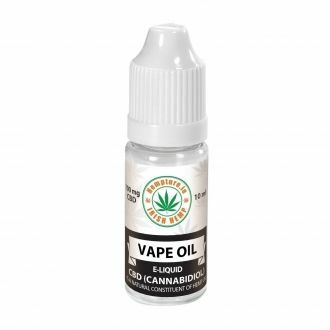 Each 20% Hemp Oil dispenser contains 2000mg of CBD (Cannabidiol), from organic certified hemp cultivars free from pesticides, herbicides and chemical fertilizers. The oil also includes the plant waxes, as well as other co-factors and co-nutrients. To keep our health in balance we owe it to ourselves to maintain this vital mantra. Anything less can have a lasting impact on your health. 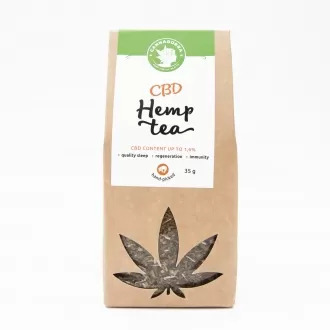 The biochemical makeup of the hemp plant containing cannabinoids, terpenes, plant waxes and micronutrients work synergistically with our bodies to promote an overall sense of wellbeing. 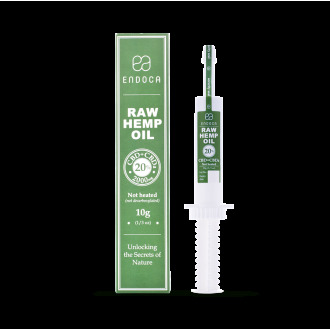 For those of you who want to experience the hemp plant with nothing taken out, you will love our 20% CBD hemp oil. We believe that every part of the hemp plant is important including the waxes that are removed in other hemp products. 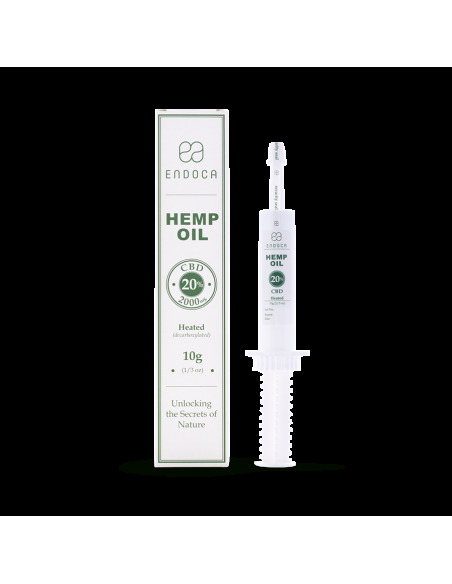 Endoca’s unique formula contains crucial cannabinoids, vitamins, minerals and plant waxes that are not always found in our diets. You’ll get this and more in one simple oil. Plant cannabinoids such as CBD activate the endocannabinoid system, a complex network of natural chemicals and receptors that keep our body in a state of balance. It regulates our appetite, mood, immune system, memory and pain response. The stresses and strains of daily life can affect the endocannabinoid system’s function and this internal harmony is lost. Plant cannabinoids naturally found in hemp can support the endocannabinoid system and be a useful addition to your wellness routine. To create top quality standardized extracts we employ a strict pharmaceutical standard control programme and rigorous laboratory testing, so that consistent potency and purity is ensured. Not only that but our team of scientists, herbalists and nutritionists formulate our organic extracts to the highest standards of good manufacturing practices, so that when you read our labels, you know exactly what you’re getting.